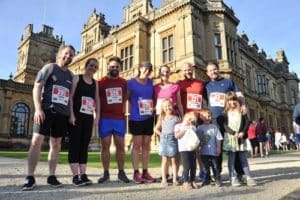 It’s time for the inaugural Westonbirt House Easter 10k on Good Friday 30th March DB Maxers! An Easter Egg Hunt for the kids at 12:10. No need to book, just go to the finish line and catch up with the egg-cellent Kirsty. Brand new race warm up conducted by Becca from Atlas 24 Hour Gym in Chippenham. That’s all for now. Good luck with your final race preparations and we look forward to seeing you on Good Friday 30th March.